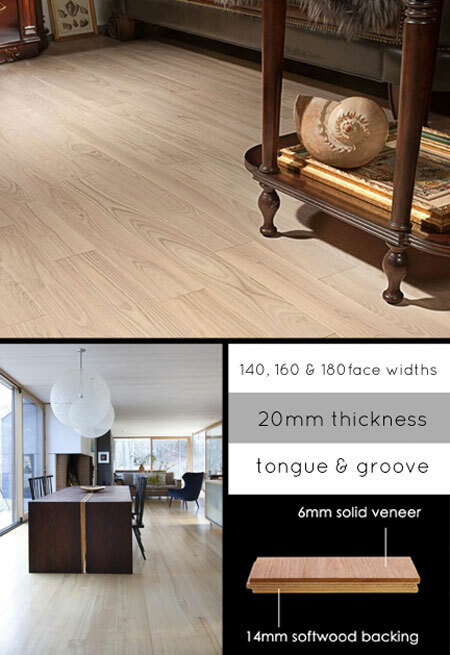 This blond Ash wooden floor is engineered for added stability and is an ideal timber floor choice for laying above underfloor heating. Each floorboard is pre-finished on a hard wearing oil and has a thick 6mm ash top layer bonded onto a stable 15mm plywood bottom layer, allowing superior stability. This Ash floor is available in a number of different plank widths and can also be supplied in a random width wood floor. * Extra thick 6mm Ash top. * Pre-finished for clean installation. * Suitable over underfloor heating.